At a site believed to be an inspiration for John Muir, a growing city replaces a 75-year-old water tower with a double-reservoir system to better serve residents. The result is an innovative, cost-effective, creative solution designed to serve the daily water needs of Madison, Wisconsin, residents for years to come. The neighborhood’s original water tower, a small 55,000-gallon tank built to serve a tuberculosis hospital, was constructed in 1938. Since that time, the surrounding land has developed significantly — what once hosted the forests and fields that inspired John Muir is now a growing, and thirsty, residential neighborhood. When their Master Plan identified a need for 300,000 gallons of water storage for emergency and firefighting reserves, as well as an additional one million gallons of water storage for local residents, the City of Madison Water Utility had to make an economical and sustainable decision to replace the undersized 55,000-gallon tank. To make matters more complex, the water tower site is also home to a nature conservancy, called Lake View Hill. The land around the water tower is a treasured destination for neighborhood hikers, walkers and wildlife enthusiasts. How do you increase storage capacity and improve pressure without impacting environmental and ecological assets in the area? And how do you get the right water pressures to both nearby and more distant residents? To answer these questions, the City of Madison selected an SEH team led by project manager Randy Sanford. 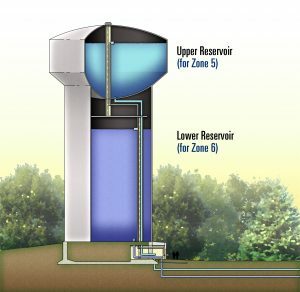 Scored on a point system, the most desirable alternative — building the dual-zone reservoir with different pressure zones — had the highest capital cost. But, when compared to the 50-year lifecycle costs, the operational costs were 20 percent lower, which offset higher capital costs. The team selected the dual-zone reservoir design. It’s the first in Wisconsin and one of only a handful in the entire country. A water tower is more than a reservoir; it’s a statement on the skyline. While its color can be justified with any number of reasons — blue to blend in with the sky, white to look clean, silver for a retro feel — the design team and owner collaborated with citizens and instead choose not one, but two different shades of tan. And they did it for two reasons: aesthetics and maintenance. Not only did the tan color fit with the natural character and context of the surroundings, it was also a better choice for long-term maintenance. Heres why: every tower experiences condensation on the outer bowl. This condensation creates a perfect environment for mold, which is black, so, though many communities choose white for its clean look, the mold eventually finds its way on the surface of the bowl, discoloring the tank and requiring cleaning. With a tan tank, mold will not be able to make its mark. In fact, the tower has a slightly darker shade of tan on the upper reservoir to cloak any mold that may grow on it. 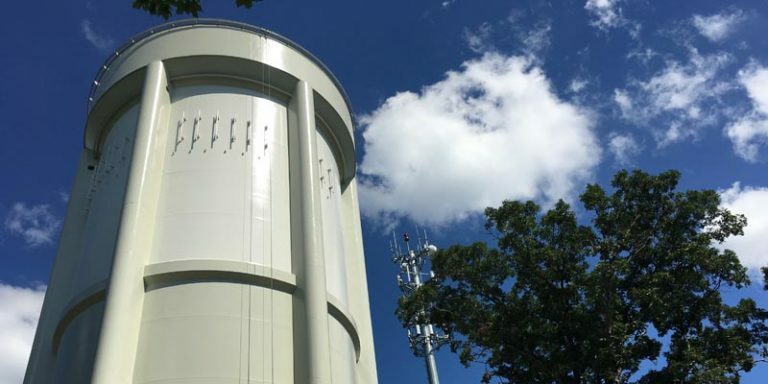 Found on water towers due to their high altitude, telecommunications facilities can complicate any water tower rehabilitation or replacement. For this project, the plan allowed for a space to hold a monopole, where all eight private carriers could conveniently relocate their facilities. After construction, the carriers will be able to reattach their telecommunications equipment. The intended result? No interruption of cellular services for residents and, importantly, no hassle for the owner. By planning ahead, making sensible choices, and incorporating the voice of their community and residents, the City of Madison Water Utility has delivered its residents a cost-effective project that not only improved service but also wisely positioned their community for the next century. Randy Sanford, PE, is an SEH water engineer, project manager and stalwart for sensible solutions for aging water infrastructure. 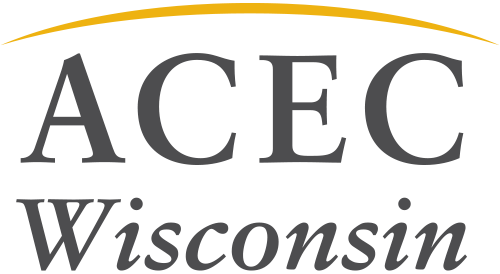 SEH is a long-time member and active supporter of ACEC WI. This water utility project was honored with the 2018 ACEC WI Engineering Excellence Best of State Award and an ACEC National Honor Award.